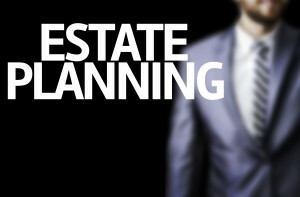 Self-Settled Asset Protection Trusts: A Growing Estate Planning Trend? Self-settled asset protection trusts get more buzz these days, but they weren’t even recognized in the United States until the latter part of the 1990s. Before this time, putting together a self-settled trust required establishment outside U.S. borders. In 1997, though, Alaska recognized self-settled trusts and Delaware followed. Currently, self-settled trusts are not a nationwide trend as only fifteen states recognize them. These include Alaska, Delaware, Hawaii, Mississippi, Missouri, Nevada, New Hampshire, Ohio, Oklahoma, Rhode Island, South Dakota, Tennessee, Utah, Virginia, and Wyoming. Put together appropriately, a self-settled trust allows someone to transfer their assets inside while safeguarding this property from creditor access. More often than not, the state laws governing these trusts require that such a trust be irrevocable, that some of the trust assets be located in the state, and that a minimum of one trustee be a state resident or a corporation that maintains ability to operation within the state. Be aware that as the self-settled trust grows, case law is still interpreting the statutes behind these trusts. To learn more about the evolution of asset protection planning and how to use trusts to your advantage in an estate plan, contact us today at info@lawesq.net.